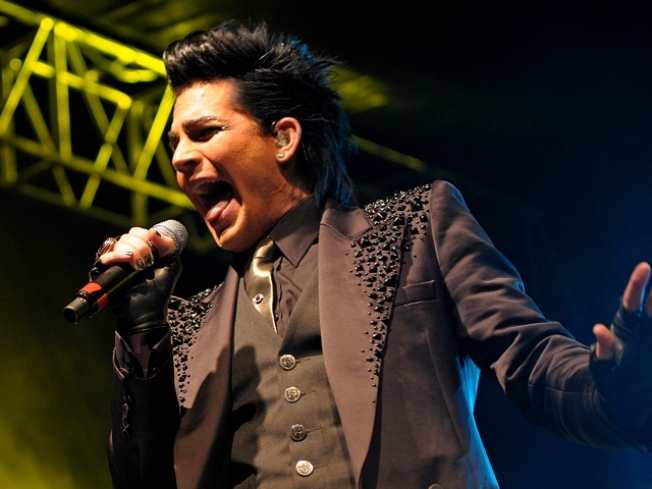 Adam Lambert performs at the 4th Annual Gridlock New Years Eve party, held on the Paramount Studios lot on December 31, 2009. Adam Lambert is heading to "The Oprah Winfrey Show." The "American Idol" rocker confirmed the news on his Twitter account. "Oprah: def true!!! :)" Adam wrote on his Twitter account on Thursday night. However, details weren't immediately available about when the star would appear on Oprah's talk show. While Adam is sticking to singing now, the former reality star, who got his start in musical theater, has aspirations of another type of television work – acting. "If I had to pick a show to guest star on I'd loooooooove to be on True Blood. Or Weeds," Adam wrote of the HBO vampire drama and the Showtime suburban drug-dealing housewife program. "Those shows are amazing. Prob need some major acting classes though first. The casts of both those shows are first rate." And it appears Adam has an interest in the Upper East Side too. "Oh yeah. I'd love to be on Gossip Girl too! Leighton is amazing. I should be blairs shopping buddy. Hahah," he noted. But one place he won't be visiting is FOX's choir-based show, "Glee." "Glee guest star rumor: it's a rumor. Sorry guys," he wrote.